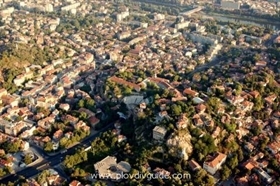 Bulgaria’s second-biggest city of Plovdiv will make headlines April 22-24 when it will host a World Energy Forum, the city’s mayor Slavcho Atanassov announced. This is the first time that Bulgaria will host an event of this scale, which will be joined by the presidents and prime ministers of 28 countries. US Secretary of State Hillary Clinton are expected to join the event. The heads of state of twenty countries have so far confirmed their participation in the forum. The American delegation will number between 400-700 people.